The rapper opened up about his relationship with the reality star, as well as previous ex-girlfriend Blac Chyna. 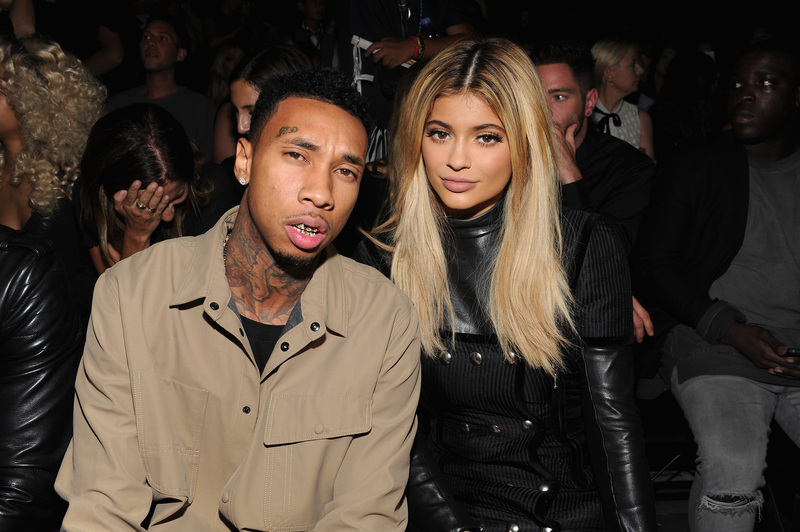 Tyga has finally opened up about his relationship with ex-girlfriend Kylie Jenner. The 'Rack City' rapper stopped by The Breakfast Club to discuss the breakdown of his high-profille romance with the young reality star, as well as the ongoing drama between his previous ex Blac Chyna and Rob Kardashian. Tyga went on to label the first year of their relationship as "magic", before adding: "After that, like, you start, like, realising a bunch of sh*t."
The rapper explained how their highly-publicised relationship affected both of their careers. "I was put in that position to kind of like help her, because before I got with her people in the urban world wasn't talking about her" he confessed. Tyga also addressed the young makeup mogul's dramatic transformation over the years, comparing it to that of Blac Chyna, with whom Tyga shares a son, King Cairo. "It's like Chyna, when I got with her, she super glowed up. When I got with Kylie, she super glowed up," he said. On Jenner's new love interest, Travis Scott, T explained that Scott is "not in the wrong" and there are "no hard feelings" between the pair. The Compton native soon moved on to the drama surrounding Rob and Chyna, claiming he warned Kyile's half-brother about the former stripper. "I told him what the play was - I was with her for three/four years, "this is what you're about to deal with."' Tyga recalled. Meanwhile, Tyga has just dropped his new album 'B*itch I'm The Sh*t 2" which features Kanye West, Young Thug, Pusha T and more.